Anyone willing to share what you carry for a jack on your moto to change a spire in the wild? 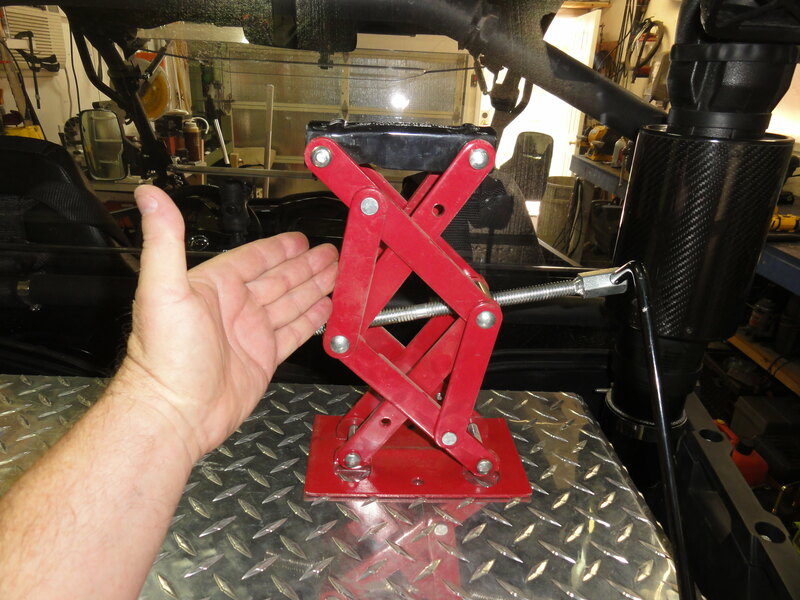 I was looking at the tusk jack kithttps://www.rockymountainatvmc.com/p/726/46210/Tusk-UTV-Scissor-Jack-Kit although Im having a hard time figuring out which one would fit on the roll cage since they only list by model and not sizes (and dont list cfmoto). I think i saw a post from NMKaweirider indicating the roll cage tubing is around 1.6+ inches for the 800 (think its the same for the 500). Anyway, interested to see what set ups others have - even if you just throw a jack in any of storage areas or have come up with a brilliant mcguyver hack. Easy enough to just buy one and make do, but figured it didnt hurt to ask - always amazed at the creative things people come up with. I carry a scissor jack but it's much smaller then that one and it has a built in handle. Think it will lift 2000 pounds. Remember these things only weigh 1200+-. I carry it in the storage box... expanded enough to hold it in place. I'll get a pic tomorrow. 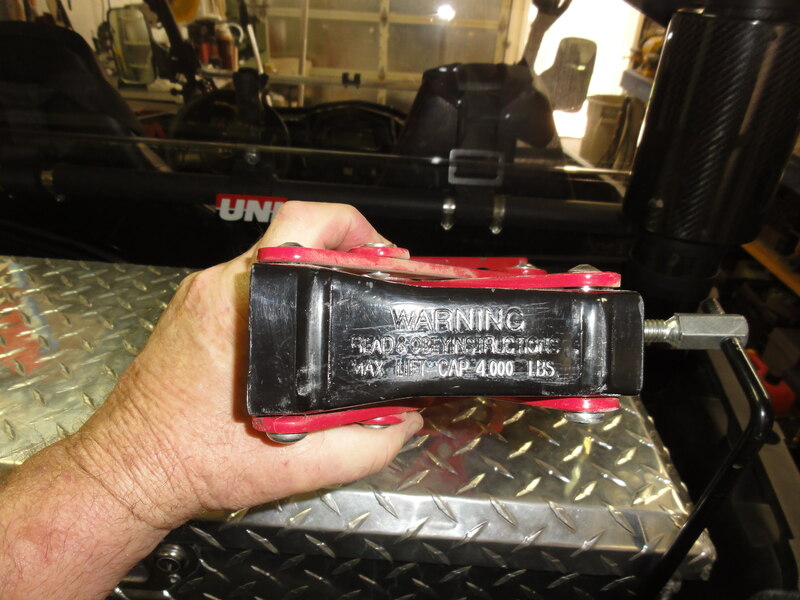 As we go out with 10 Zforce 550 carrying a spare would be OK as long as we only have one damaged wheel so we carry a plug kit and a CO2 inñator, (or mini 12v inflator). unless you're talking a slash not a nail you are back and running in under two minuets. Thank you for the responses guys. I do carry a plug kit. We took a serious chunk out of sidewall last weekend. Some of the really wet trails we ride in VT have been covered with really sharp drainage rocks...pretty sure that’s where we took the damage. We’re don’t have an family friends up here yet so we’re pretty much self-reliant. Just feel better having a spare. Thanks for the pics NMk. I really like the jack you posted. The smaller the better. Gonna order one. 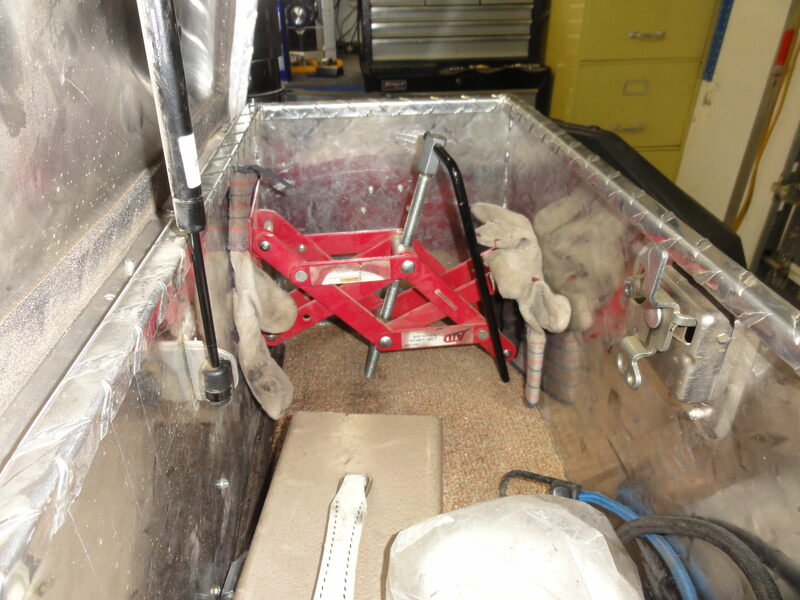 The cargo area of a Z force is made to carry up to a 27" spare tire. Any auto wrecker yard will have a big selection of scissor jacks dead cheap. 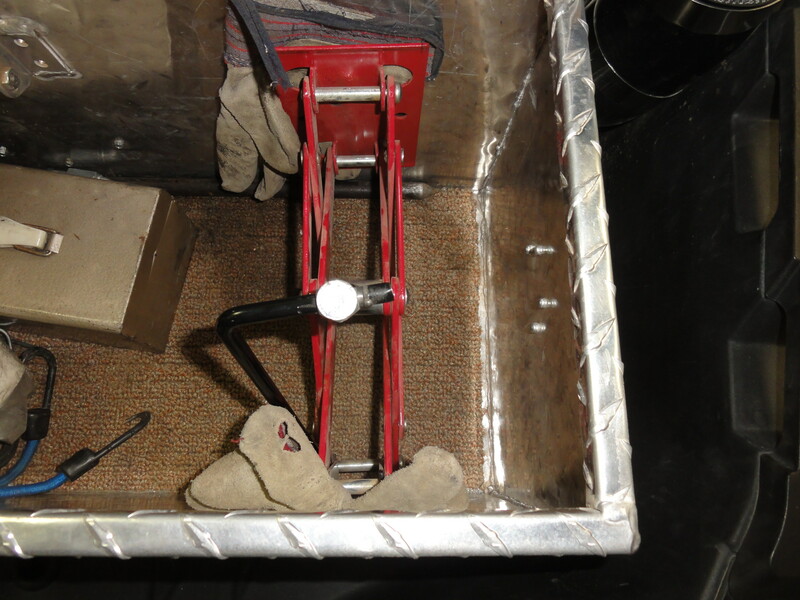 Some use a hook handle, some a 3/4" socket, speed wrench, whatever.